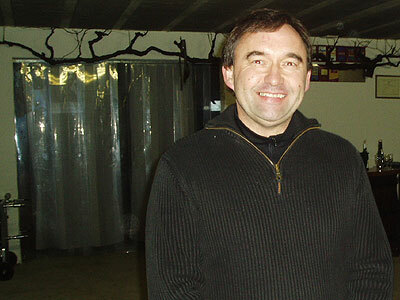 The family of Patrick Coulbois has cultivated vines in the region since the 17th century. His father Gerald owned vines located to the west of Saint Andelain. In 1974, however, Patrick set off on his own, using grapes from parcels running along the southwestern slopes of Saint Andelain along with parcels from his wife's family and several rented vineyards. Five years later, Coulbois constructed a cellar. He enlarged it in 1989, then purchased a pneumatic press and temperature-controlled, stainless steel tanks. Coulbois owns a total of 8.7 hectares (21.5 acres) of vineyards and practices lutte raisonée. He aerates the soil, uses natural composts and no insecticides. Plantings closest to the house date to 1955, and this fruit goes into the Les Cocques cuvée. The limestone plantings are more recent (1977 and 1982) and are used for a cuvée sent primarily to England named Les Cornets. A third cuvée, La Charnoie, is grown on Kimmeridge clay and made with vines planted just after World War II. Vinification is carried out parcel by parcel in order to highlight the special features of each vineyard plot. The pressing is gentle as not to extract unwanted phenolics. The fermentation takes place at cool temperatures in order to preserve the grape's natural aromatics. The storage vats are fairly squat, allowing a larger surface area for a healthy exchange between the wine and its lees during the wine's upbringing. 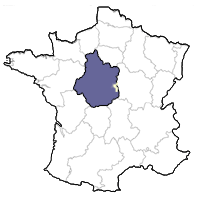 Coulbois also makes a little Pouilly-sur-Loire, which is made with Chasselas grown on the more sandy soils near the river. It is a light, crisp wine which is quite refreshing in the summer. Domaine Patrick Coulbois Pouilly-Fumé "Les Coques"
From 50-year-old vines. Cuvée selected from two tanks, fermented for 3 1/2 and 5 weeks respectively. Tasting Notes: Aromas include green apple, grapefruit, blood oranges, white flowers and minerals. Bone dry, medium-bodied and crisp, the wine is a wonderful partner for seafood, cold salads and goat cheese.